Get ready to handle any expedition in total luxury with the Rollplay 6V BMW X5! This 6V battery-operated ride-on is the perfect choice for young riders. Cruise at speeds up to 2.5 MPH in forward and reverse with the easy-to-use foot pedal. Both doors open and latch closed for easy access and safe riding. The BMW X5's working LED headlights, chrome wheels, detailed dashboard, and horn and engine sounds all give this easy to assemble ride-on a realistic polish that kids love to ride and grown-ups love to watch. 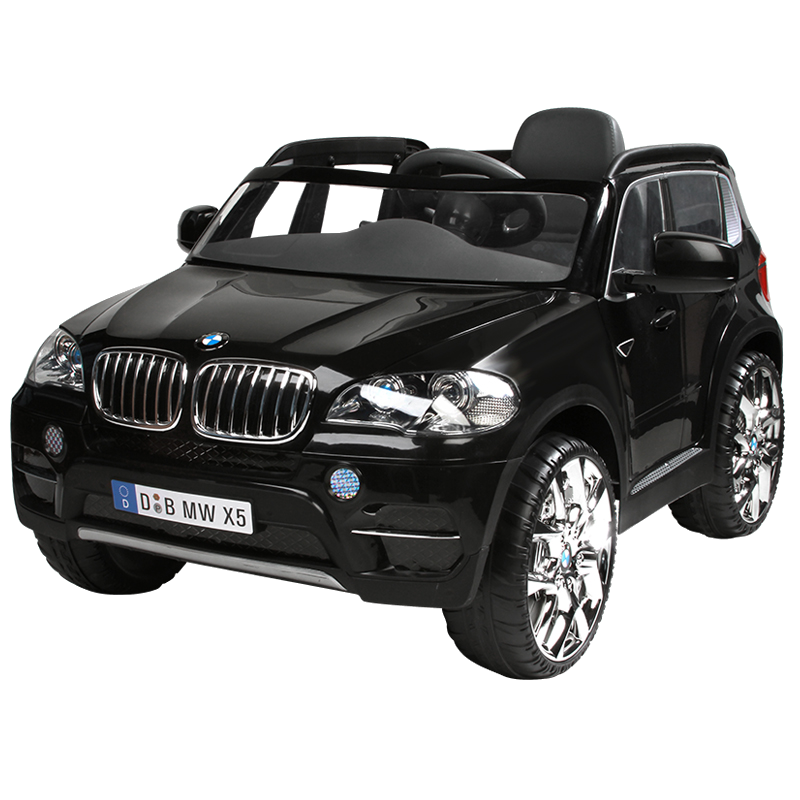 The 6V BMW X5 is suitable for toddlers ages 3+ weighing up to 77 lb. Items listed on this site are shipped just within the US and Canada. A flat shipping fee of $9.00 will be charged for each order shipping in the United States and $25.00 for each order shipping to Canada.